This is a very casual bar/restaurant. You can even go in your bathing suit and cover up. The upstairs bar is pretty small and gets very crowded on the weekends. They also have a DJ on the weekends. Walking in here looks very divey -- but go upstairs and it's popping! Friendly staff, nice drinks and food, and an outdoor patio. Super fun for happy hour and karaoke downstairs. Amazing view. 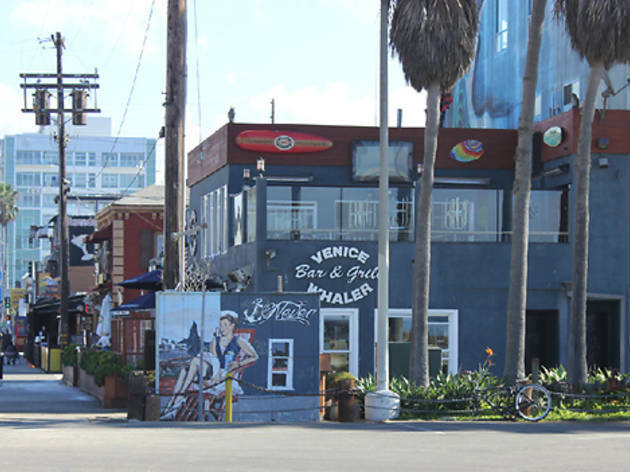 It's a lively bar and restaurant right on Venice Beach and a perfect place to go and watch the sunset IF you can get a table on the small balcony! Upstairs you can go and seat yourself at the bar or at some of the tables, and downstairs you need to be seated. There's an also an outdoor area strip along the sidewalk but you can't order alcoholic drinks for outside. Fine if you want a softie! Food is good, a selection of burgers, sandwiches and fresh fish dishes. One of the best kept secrets with a million dollar view. 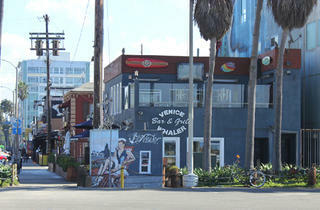 Top patio overlooking the beach is the best place to drink in the sun while staring at the waves or watching the sunset. It is a bar, however, so don't expect to be practicing yoga poses in quiet meditation. This is a fun place to get wild with friends and have a good time.